All hail the power of essential oils! There is no limit to the wondrous effects of these natural plant remedies. 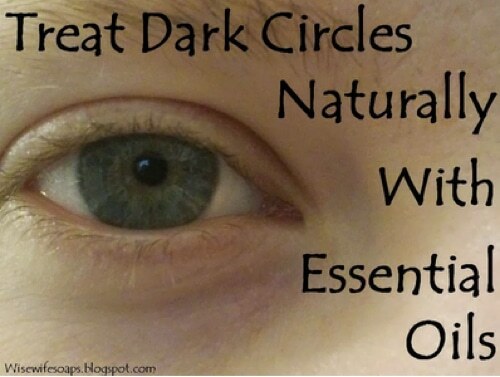 If your eyes look like you have Hefty Bags hanging from them or like you’ve over indulged in the gray eye shadow; this natural tincture will help bring you back to your beautiful self. It’s just a matter of a little blending of the right oils and you’ll have a terrific remedy you can apply right to the affected areas.